When you think about it, it transpires that one of the most versatile and vital accessories you use is one that can go largely unnoticed and doesn’t earn the praise it deserves – your wallet. However, since you take it with you everywhere, don’t interchange it with your outfits as with other accessories, and it is practical, it could be time you gave your wallet choice a little more consideration. In this guide we’re going to establish what we think are some of the best money clip wallets 2018, a simple, stylish, and sophisticated approach to carrying your cash and cards. Delving into the world of wallets can be somewhat daunting as it’s surprising to discover how many options there are out there. It was once commonplace to have the most oversized wallet available – the bigger, the better, as men everywhere stashed theirs to the brim with receipts, store cards, family photos, and left over holiday currency, but times have changed. Since our cellular phones and media devices enable us to access entire photo albums, download apps for our favorite stores, and even pay for our purchases, it means we carry fewer essentials with us, and can up the ante when it comes to the style stakes. This is where a money clip wallet could be a great option for you. It’s still important to identify a wallet that works best for you – consider your needs. Maybe you use different cards frequently and you need enough pockets to keep them organized. Maybe you carry a large amount of cash and need to keep it secure. Maybe you want something sleek looking, or something more robust. Whatever your needs, be sure to establish the most important factors before you make a purchase. There are many great options available that could be perfect for you. You can also check men’s designer wallet review. It sounds obvious, but a good wallet will not only allow you to keep your essential items organized, but they can also compliment your outfit, accentuate your style, garner compliments, and leave others with a lasting impression of you. Your wallet is your pocket organizer for everything monetary – you can secure all your cards in one place, ensure you don’t lose track of any cash, and keep track of various other slips of paper you might otherwise have swimming in your pockets. In addition, your wallet can act as fashionable accessory and can suggest a lot about you as a person. So why go for a money clip wallet? The advantage of being able to carry fewer items means that we can accessorize with quality products because we want to, not because we need to. A sharp, luxurious metal money clip wallet can be just as eye-catching as a nice watch when you’re at the bar, and a well organized, smart exentri wallet will reflect the same attributes onto you when you’re in an important business meeting or lunch. You might not have considered it previously, but more effort goes into the construction of a good wallet than you could have imagined. Firstly, there is an abundance of great materials that can be utilized depending on what you prefer. Ranging from leather, alligator skin, and fabric, to brushed metals, and carbon fiber, there is something that suits everyone. The design techniques and engineering that goes into them shouldn’t go unappreciated. Quality leather products must be expertly treated to achieve its full potential. Hot iron pressing is used to create concise turnovers and creasing, while good stitching is needed to create a quality finish and reliability for wallets with turned edges. All quality materials should be used correctly to achieve their full benefits. Modern money clip wallets are cleverly engineered and ergonomically designed to carry your cards and cash while remaining slimline, as not to compromise the silhouette of your outfit, discreet when in your pocket, yet eye-catching when noticed. Specifically shaped to secure many of your cards and cash utilizing concise engineering, spring-loaded clips, or strong magnets, these wallets can be constructed from various materials like stainless steel or carbon fiber; anything lightweight, but also robust and flexible works well. A money clip wallet can make the best minimalist wallet for men as they are lightweight, practical, and stylish, and such are the subtleties that can stand out, there are endless possibilities for a great looking wallet that compliments you. With any number of great looking, quality materials of which a money clip wallet can be constructed, from traditional, luxurious leather, to modern, sleek, metals, the choice is yours. As a clip is a simple concept, the design and shape of these wallets can vary greatly, depending on your own tastes, and as it is a personal item, you can make your money clip extra special with a customized engraving or message. Although, as with logos and brands, try to keep any personalization simple and understated, as over-complication can compromise the elegance of your product. Leather money clip wallets tend to be more versatile, and bind classic looks with a minimalist style, whereas metal, or mineral money clips, look elegant and individual. Lastly, choose a finish that stands out and compliments your own personal style and fashion sense. These wallets look great leather-bound, patterned, plain, polished, or brushed, so you can make the best choice for a product which looks great and mirrors your personality. The price of any wallet can vary greatly and will depend on many factors. A men’s designer wallet, for example, will always come with a heftier price-tag than a lesser known brand, and use of better quality materials, expert craft, rarer metals and minerals, or innovative design, will also have a part to play. Generally, money clip wallets are reasonably priced for their simple design, but the value can fluctuate. As a rule of thumb, never spend more on a wallet than you tend to carry, never spend more than you can afford, and make sure you look around for the best price. 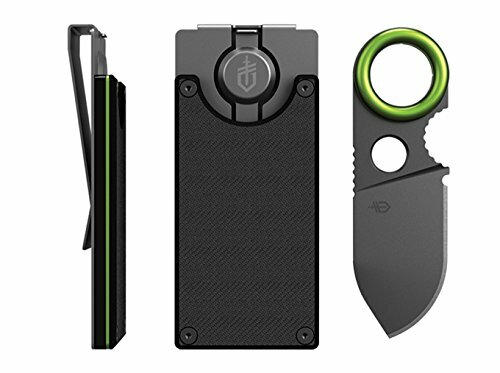 Gerber produce some of the most practical utility tools on the market, and the Gerber GDC money clip is no different. Offering you a style, robustness and function that fits discreetly in your pocket, this money clip is built to last, and looks the part. The GDC Money Clip could be ideal for anyone who carries the absolute minimum in plastic, and with its build in blade doubles up as a practical utility. However, if you require a little more flexibility and versatility, then you might be better considering alternatives. At just 3.7” in length and weighing 2.9 oz, the GDC money clip is slimline, discreet and practical. The large G-10 front plate is perfect for engraving. Personalize your GDC with your initials, or engrave it to give as a gift. Contains a discreet 1.74” titanium coated stainless steel blade with finger grip and thumb rest. A practical accessory when you need it. The construction from quality, rust proof materials ensure the money clip is robust, durable, and offers longevity. A reasonable price for a robust, utility product. The money clip only holds a maximum of five cards. This might be too limited for the average user. The discreet blade means this money clip is not TSA approved. The construction and materials of the money clip mean it is a rigid product. Not suitable for anyone who require a pliable product. If loaded to capacity with cards, it makes the blade awkward or impossible to remove for use. This clip does not offer RFID protection, leaving you vulnerable to fraud. There is only one color available. Money clip knife has Large engrave able surface, rust proof materials, titanium coated steel body, and a G-10 front plate complete the perfect daily companion. Overall Length: 3.7" | Weight: 2.9 oz. SERMAN BRANDS have designed this sleek and stylish carbon fiber money clip to offer you a product secure, functional, and hassle free to use. This money clip looks great with its titanium pattern and glossy finish, and is presented in a cool carbon fiber gift box too, making for an excellent package. The clip is designed to be RFID shielded to protect you against fraud, although as a clip, you must be mindful of how you arrange your cards to take advantage of that benefit. 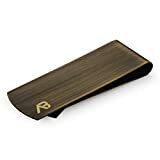 This could be the ideal money clip for you if you want something lightweight and bulk free, but if you’re looking for more versatility than you might want to consider alternatives. Constructed from aircraft and motor-sport grade carbon fiber, this clip is lightweight, strong and durable. Engineered to have no gap, you can carry a single dollar bill as securely as you can carry 15 (maximum). Its flexible construction means it can hold up to ten cards. An RFID shielded lining means your cards are always protected from cyber-fraud. The clip is specially engineered to always return to its original shape. Presented in a carbon fiber presentation box, ideal to give as a gift. A reasonable price for a carbon fiber product. Choose from six different colors and patterns. The SERMAN BRANDS logo is very visible on the back on the clip. The glossy finish can cause notes to slip out too easily before the clip has been broken in. Does not come with a certificate of authenticity that the clip is genuine carbon fiber, and can be mistaken for plastic. The Pattern, gloss finish, and visible brand logo diminish the elegance of the product. SLEEK AND STYLISH - Features genuine carbon fiber accented with playful stripes of Diamond Blue Titanium an overall slim design. The extremely strong carbon fiber with the durable construction means you will have a beautiful money clip that will wear well with time. ARCHITECTURE - Enhanced carbon fiber clip with a new innovated design. Engineered to surpass your expectations. 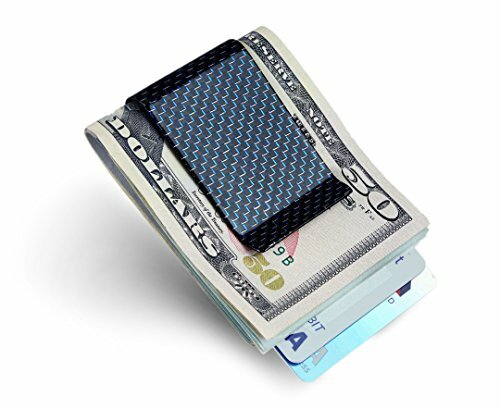 The SERMAN BRANDS money clip will always return to its original shape and can hold up to one bill with no problem! An all new entreating Diamond Blue color and a marvelous gloss finish, your money clip will be the finest there is! FUNCTIONAL FOR YOUR BUSY LIFE - Convenient quick access with a slim design lets you easily show your ID at the ready. Hold up to 15 bills and 10 credit cards means you can keep all of your important cards with you at all times. The slim profile doesn't bulk up and easily slips in and out of your pocket or purse. 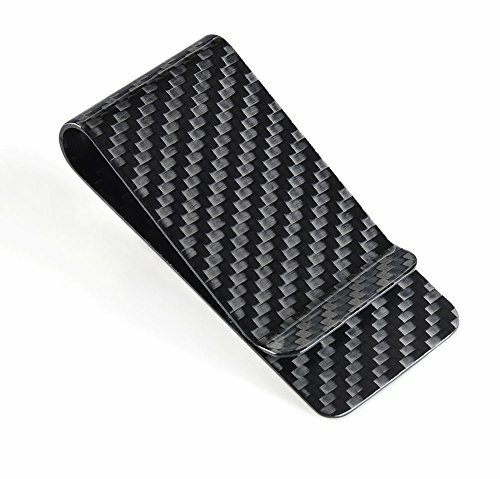 SIZE - Slim yet functional carbon fiber money clip for men - 2.75" in. x 1.5" in. x .5" in. Alaska Bear have produced this simple yet effective stainless steel money clip, which looks sleek and luxurious, with a slimline and stylish design. This money clip is classy and elegant with its smooth, brushed metal finish, sharp design, and luxurious velvet presentation bag, which screams sophistication. This clip could be the ideal option for the man on the move who wants a clip with understated style and elegance when carrying cash or plastic, but if what you carry varies you might be better suited to another clip. With dimensions of 2.5 x 0.9 x 0.3” and weighing just 0.32 oz, this a sleek and elegant, minimalist money clip that can be place discreetly in any pocket. Presented in a stylish, velvet bag, the clip is a great purchase for yourself, or as a gift for another. The concise engineering mean the clip is strong, tight and can securely hold just a few dollar bills. This is a sophisticated looking product available at a low price. As it’s constructed from steel, this clip will eventually stretch out of shape with regular use and then won’t be adequate for fewer bills or cards. The clip has the capacity to hold up to 15 notes, or a maximum of five cards, which may not be adequate for everyone. Does not offer you RFID protection, so if you’re carrying multiple cards they will be susceptible to fraud. Stainless stain can scratch easily if you carry this clip with sharp items just as keys. There is only one color/style available. Premium stainless steel, designed by AccMarket. No extra pocket bulk, a modern alternative to bulky wallets. Comes inside of a cool velvet bag, it can be great gift for Father's Day, Graduation, Bachelor Party, Wedding, Corporate Events, Anniversary, Christmas or for that someone special. 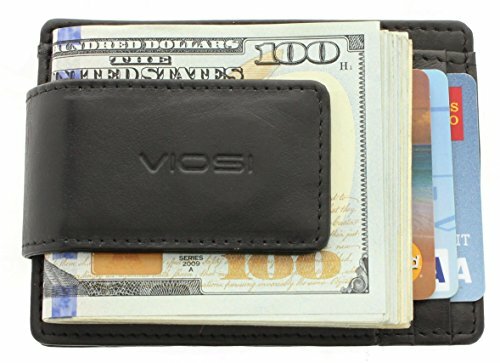 Viosi’s leather money clip combines the classic aesthetics of a traditional leather wallet with added flair from modern magnetic clip designed to keep your bills secure. The designated slots for cards and easy access ID combined with two large pockets for other items, and the money clip, make this a versatile and practical accessory. If you carry bills, cards, and ID, and like the idea of a traditional wallet with a difference this could be the perfect money clip for you, but it you wanted a departure from the classic look, you could consider a metal money clip instead. Made with genuine Kingston leather to ensure this is a quality, durable, and robust product. Designed with three card slots, two large pockets, and ID slot with viewfinder window, and magnetic money clip, this is a practical money clip wallet. Two 20 mm rare earth magnets are said to be the strongest available to offer a firm hold for your cash. The wallet is designed with an integrated RFID shield to protect you against fraud. Comes with presentation box and a one year replacement guarantee, making it a risk free investment. Reasonably priced for a real leather product. Choose from three great colors. The validity of the rare earth magnets may be questionable, and there is no certificate of authenticity included. The workmanship of the stitching may not be of the highest standard. The design of this wallet mean it is not minimalist in comparison to traditional wallets, and as such, is not as slimline as other options. The card slots are tight, while the two top pockets are loose and not designed to carry anything in particular. YOU WORK HARD FOR YOUR MONEY: That's why we use 2 - 20mm Rare Earth Magnets to hold on to your cash. We tested the rest and now you can buy the best. Rare-Earth magnets were developed in the 70's and are made from alloys of rare earth elements. They are the strongest type of permanent magnets. WE SOURCED THIS ONE OURSELVES: After testing the competition we knew we had to develop our own Money Clip. Finding the right factory wasn't easy but once the prototype was completed we knew we had a winner using Top Grain Kingston Leather, detailed stitching and secure card slot holders. The Goson money clip wallet is designed as a well thought out credit card holder for men with a magnetic money clip attached. Bound in real leather and handcrafted to ensure top quality and integrity, this robust money clip offers you the versatility of a traditional wallet combined with a minimalist design that won’t look bulky in your pockets. This could be the ideal money clip wallet if you carry cards, cash, and ID, and like the classic aesthetics of leather wallets, but you could look elsewhere if you prefer a sleeker, more modern clip. Use of real leather and strong magnets as apart from this handcrafted wallet make this a quality, reliable product, oozing sophistication. Measuring 4.12" x 3" x 0.5", the billfold design has the capacity to carry five cards plus ID, and up to ten dollar bills. A transparent window on the ID slot conveniently displays photo ID without having to remove any cards. A free 30 day returns and 60 day replacement warranties are included, so this is a risk free investment. Presented in a unique, interesting cardboard gift box, this clip could make an ideal gift. A reasonable price for a real leather product. Your choice of seven flattering colors. As the magnets only carry ten bills it might not be adequate for everyone. The treated leather reportedly gives off an unpleasant, chemical odor when used regularly. The wallet does not offer you RFID protection, so if you’re carrying multiple cards they will be susceptible to fraud. The snug fitting of the card slots make it difficult to remove items when you need them, a slight inconvenience. A Carbon Fiber money clip from Carbon Life is simple, sleek, and stylish, offering you an elegant means of securely carrying your cards and cash, and hassle free to retrieve them. Quality carbon fiber is strong, durable, and always returns to its original shape, with a chic, industrial pattern and matte finish, make this a sophisticated accessory for anyone. This product could be ideal for you if you’re looking for a money clip that is incredibly lightweight and bulk free, but if you want the versatility to organize your cards and other items in a particular way, there are better options available for you out there. Carbon fiber is strong, durable, robust, lightweight, and is designed to return to its original state after use. Due to the flexibility of carbon fiber, this clip can securely hold one to 12 cards comfortably. Small enough to fit discreetly in any pocket, will not look bulky or ruin your silhouette. Carbon fiber should always return to its original shape, making this clip suitable for versatile use. Your choice of nine sleek colors and patterns. Surpass your expectations,CL CARBONLIFE money clip will always return to its original shapeand can hold up to one bill with no problem! Palm West have three decades of experience producing quality leather wallets, and this money clip manages to combine classic style with modern needs. Treated with natural oils, never chemicals, this wallet is crafted with real leather than delivers on durability and longevity. The unique fold over design allows you to carry up to 12 cards in the two outer pockets, while a spring-loaded clip secures your dollar bills in the center. Fully RFID shielded, this wallet could be ideal for you if you carry plenty of cash and cards when you travel, unless you’d prefer a sleeker, more modern looking product. Have confidence in the quality of the Timberland brand. 100% genuine leather that looks and feels stylish and sophisticated. The compact design offers you a minimalist wallet that won’t ruin the lines of your outfit, but is also practical. The flip open design to reveal your ID is simple, yet effective. A reasonable price for a branded, leather product. There are three great colors available. The wallet is not RFID protected, which can be a major concern in this day and age. The capacity to hold cards and cash is not the most impressive. Embossed with Timberland name and logo, so don’t purchase this wallet you don’t want a branded, designer product. Although soft leather ages well, it is easily damaged if not taken care of. 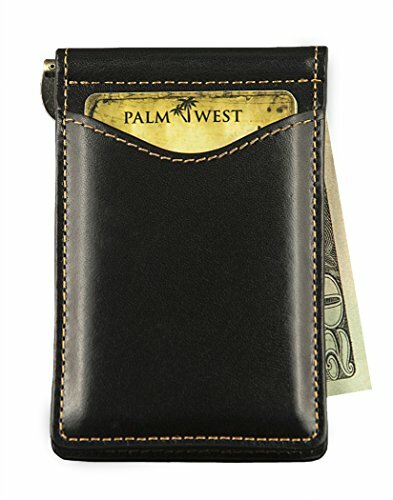 SLIM MONEY CLIP WALLET - This slim money clip credit card holder wallet combines the function of men's leather wallet with a money clip wallet. TIMBERLAND QUALITY & FUNCTION - We stand by our product and believe you will too. Our Timberland Men's leather card carrier money clip wallet is the best mens wallet for all occasions and combines durability and fashion. A man’s wallet is a personal item for which preference is entirely subjective and dependent on specific needs and taste. As the need for elaborate and men’s travel wallet is reduced due to advancements in technology and changes in the way we live our lives, we are now afforded the luxury of being able to utilize this particular accessory as an extension of ourselves, and a statement of style and sophistication. That said, the products in this article are all money clip wallets currently available which we believe are some of the most interesting, and best value for money on the market. Having considered quality, style, price and practicality, it’s clear to us that the Timberland men’s leather money clip is a superior money clip. Offering a minimalist, slimline silhouette, far more discreet than the other leather products from Viosi and Goson, yet more practical than the metal and carbon fiber clips, while offering sleek and stylish aesthetics. The quality of the Timberland brand is demonstrated in the luxurious look and feel of their leather wallets, despite the affordable price, and although it might not be RFID shielded, you can be confident that your cash and cards are secure, and that your accessory looks fantastic.